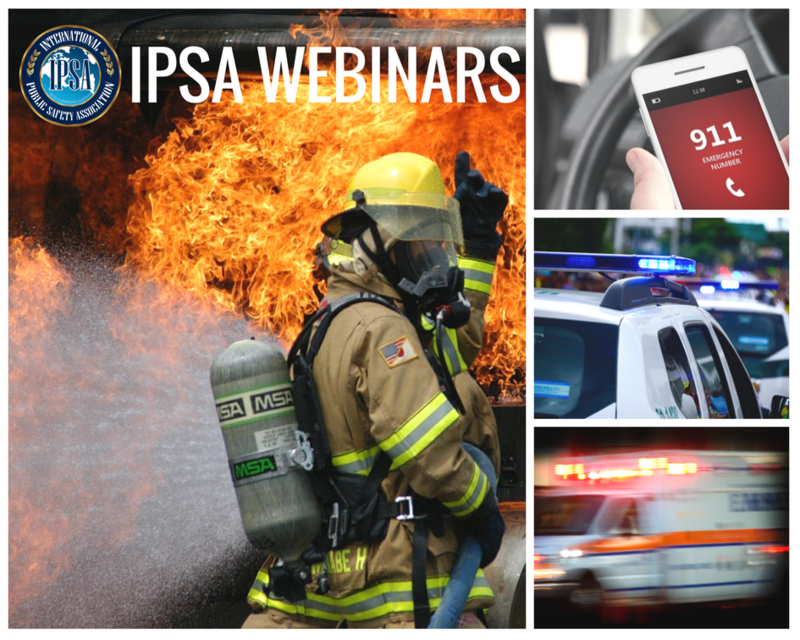 The International Public Safety Association has an extensive webinar on-demand library available 24/7 to its members. Take a few minutes to check out our trainings, and sign up for a new membership to get access. 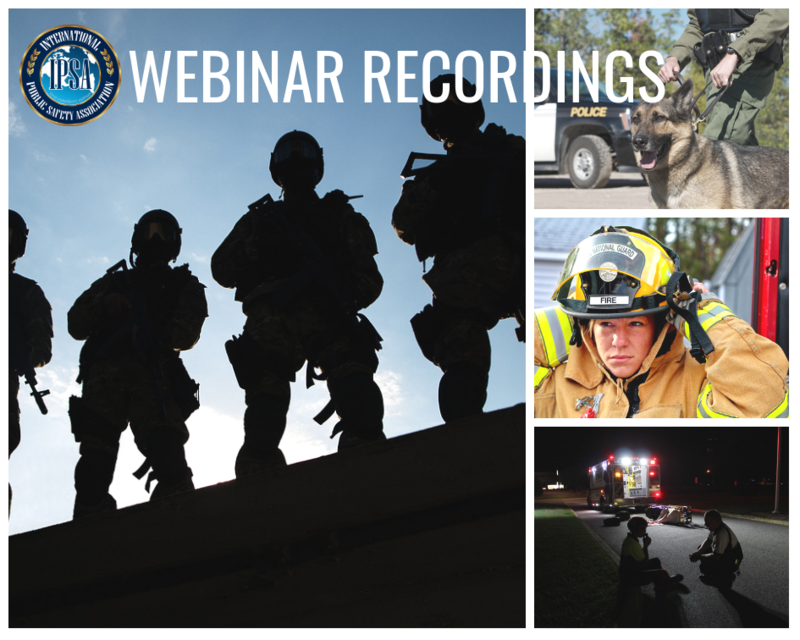 Current members can access the webinar recordings by logging in. 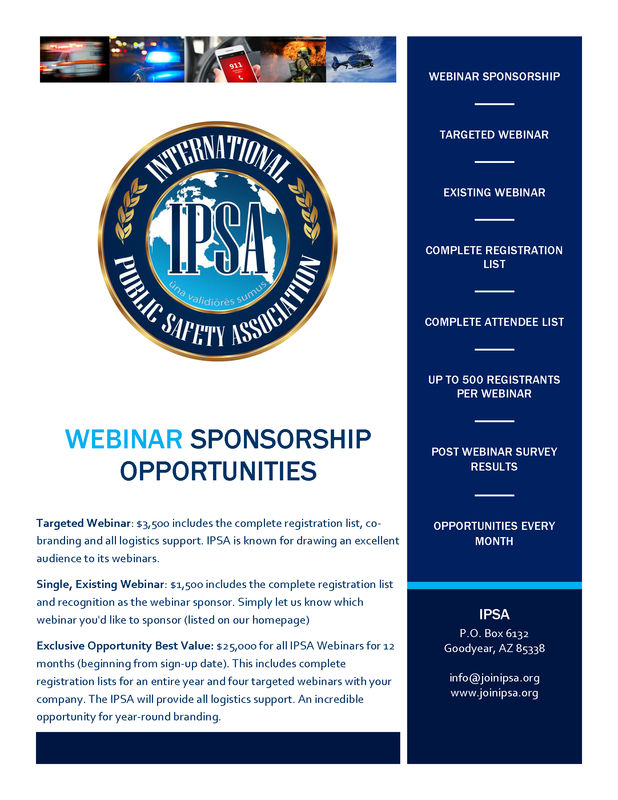 The IPSA has multiple opportunities to sponsor our webinars. Download our flyer and read below for more details. We are even open to hearing your specific ideas for a customized sponsorship. Targeted Webinar: $3,500 includes the complete registration list, co-branding and all logistics support. IPSA is known for drawing an excellent audience to its webinars. Exclusive Opportunity Best Value: $25,000 for all IPSA Webinars for 12 months (beginning from sign-up date). This includes complete registration lists for an entire year and four targeted webinars with your company. The IPSA will provide all logistics support. An incredible opportunity for year-round branding. Contact us to sign up as a webinar sponsor!